Located on quiet Camel's Hump in North Duxbury, Ripanco Kennel is a small, family run boarding and grooming facility. The kennel, which was designed with comfort, safety and ease of cleaning in mind, was built in 1990. It is owned and operated by Andrea Ripley McMahan. Andrea (Andy) studied Animal Science at SUNY Delhi and has worked for multiple veterinary practices and grooming salons for over 40 years. She has been involved in showing, training and raising AKC Siberian Huskies for over 30 years. She is a long time member of the Green Mountain Dog Club, holding multiple offices including Show Chairman and President. She is also a member of the Siberian Husky Club of America and has been a Show Chairman for their National Specialty Dog Show. 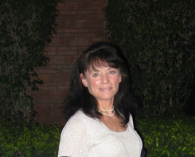 Andy is certified in Level 1 Reiki which she uses on all animals including horses, dogs and cats. She also is very involved with her Hanoverian mare, Willow, that she does dressage, hunter/jumpers and eventing with. After graduating from Vermont Technical College with degrees in Veterinary Technology and Business Management, Andrea's son, Caulder Ripley, joined the family business in 2006. Caulder grew up with animals and his bond with them showed at an early age. He began showing in Junior Showmanship at 6 yrs and went on to become one of the top Junior Handlers in the country, qualifying for the prestigious Westminster Kennel Club competition multiple times. He then spent some time as a professional handler, showing many breeds in most of the groups. Caulder's calm demeanor with all animals makes him a natural to work with them. Caulder is also a member of the Green Mountain Dog Club. He is currently serving as the club President. Caulder teaches handling classes both for the kennel club and on his own. Please use the contact us form with any unanswered questions you might have.